A spoiler-free review of "Mud"
One can tell from Matthew McGonaughey's appearance that "Mud" is an authentic film. For the entire running time his model looks are obscured behind matted hair, a dirty, scruffy, sunburned face, and the clothes he never changes out of: jeans, a soiled white shirt, workman's boots with a cross in the tread. His close connection to the earth is solidified by his name, Mud. He is on the lam from both the law and a vengeful posse. The two young boys who discover Mud in the woods are Ellis and Neckbone, who present the kind of character contrast that makes for good buddy narratives. Ellis, who is from an intact (if conflict-ridden) family and has an idealistic faith in the cure-all power of romantic love, is eager to help Mud re-unite with the love of his life, Juniper (Reese Witherspoon), despite the danger in the mission. Neckbone, a skeptical latchkey kid, lives with a laid-back musician-uncle with little knack for parenting. "Neck," as he's called, goes along for the ride despite his doubts about Mud. 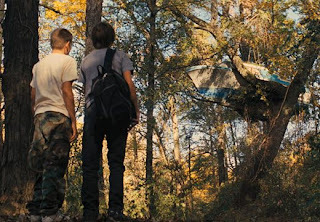 "Mud" has parallels to "The Tree of Life," which also starred Tye Sheridan (Ellis). Much of the movie follows Ellis and Neckbone as they wander all over the outdoors, slipping under fences, sidestepping snakes, picking through a junkyard, independent and yet still unformed, perplexed by the complicated adult world. visual color scheme dominated by earth tones. The camera eye alternately moves along the river at the center of the story or under tree cover, presenting big expansive spaces that communicate the infinity of the natural world or close-ups with blurred backgrounds. Rich images abound, including dappled sunlight, grainy underwater footage, a cracked, dry riverbed, fish heads in a bucket, birds flying free against a blue sky. The rural inhabitants of "Mud" are tied to a landscape that feels safe and familiar to them, frozen in time. Ellis's family lives in a riverside house which has been passed down to his mother, while his father sells fish out of the back of a pick-up truck. Old school honor coincides with a Wild West potential for sudden violence; Mud's vigilante pursuers kneel in a hotel room as they pray for his death. As in many small towns, the adult characters appear to know a lot about their neighbors' pasts, but this information is only revealed to the viewer in bits and pieces, which maintains a sense of mystery. What's Mud's story? How did he end up a fugitive hiding out in the woods? Should Mud invest all of his energy in Juniper? Does she really love him? Should Ellis and Neckbone be putting their lives on the line for Mud? Then there's Tom Blankenship, a lone wolf who lives on the river, played by Sam Shephard. As one character says, "Tom's had lives you never even knew." Who is Blankenship and what are his motivations? These intertwining threads are masterfully woven in a leisurely, organic fashion which gives the viewer time to become familiar with flesh-and-blood characters through their mannerisms, dialogue, interplay, and back stories. When events take over in the last section of the movie, the stage has been carefully set; the suspense builds and releases in a way that doesn't feel grafted on for cheap thrills. The ending ties up loose ends a little too neatly for my taste, but this is a mere quibble. 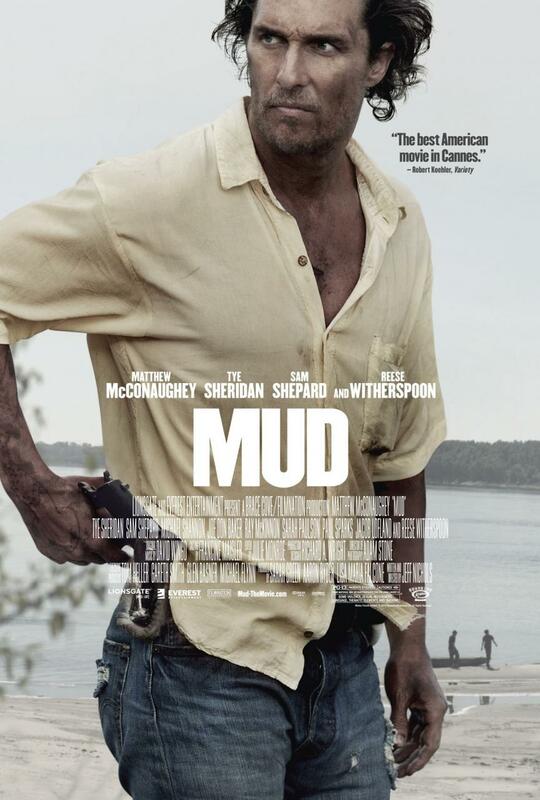 "Mud" is one of the most rewarding character-driven American films of the past five years. 98% of critics can't be wrong. Some posts that require little work get a lot of traffic; others that are really time-consuming to put together don't attract many readers. The photo essay "California in November" is one of the latter, so I'm bringing a few select shots back for an encore. (*Remember to click on/enlarge each image to get a better sense of that moment's majesty). We open with a fog-shrouded Golden Gate Bridge as seen from the Marin Headlands, above. In the middle of the frame on the left is Alcatraz. In the distance is the Bay Bridge. Next up is the Golden Gate Bridge set against the San Francisco cityscape. Here's the city, the bridge, and the Headlands in a single glance. Later in the day I got a leaf's eye view in a different locale. and the eye of the sun. Marvin Gaye is widely considered one of the greatest male soul singers of all-time, in an elite class with Sam Cooke, Otis Redding, and Al Green. 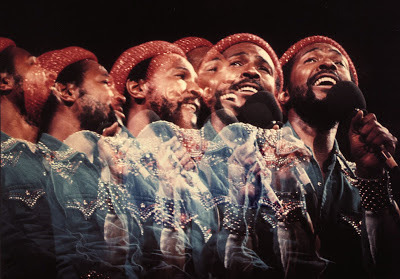 In a career that spanned three decades, Gaye generated 37 top-40 singles and one of the best concept albums ever recorded, and earned induction into the Rock and Roll Hall of Fame. And that's not all. Though Jimi Hendrix may have recorded the most mind-blowing version of "The Star Spangled Banner," Marvin Gaye's contributions to the national anthem canon were substantial. In 1968, not yet 30, Gaye had already produced a big string of hits for Motown: "Hitch Hike,""Pride and Joy," "Baby Don't You Do It" (later covered by The Band in "The Last Waltz"), "Ain't That Peculiar," and his first number one, "I Heard It Through the Grapevine." On October 6 of that year, Gaye sang the national anthem at the World Series. Though better than most, this version is pretty conservative, like Gaye's clean cut, suit-and-tie appearance. It doesn't reflect the range and power of his voice. Marvin Gaye's work changed dramatically after 1968. In 1971, Gaye broke the Motown hit-machine mold with his magnum opus, "What's Going On," a concept album which contained lyrics about urban poverty, the environment, and the Vietnam War. Two years later, Gaye came out with "Let's Get It On"; the title track was his second chart-topper. (Jack Black would later slay this song at the end of "High Fidelity"). Gaye's distance from his early pop continued to grow with 1978's "Here, My Dear," a double album detailing the problems in his failed marriage, so titled because half the royalties from the release went to his ex. The following year, while battling cocaine addiction, Gaye did the national anthem at a heavyweight boxing match between Larry Holmes and Ernie Shavers. In contrast to his 1968 rendition, Gaye loosened up this time around. He sported a big collar and a wide tie and crooned with falsetto, more inflection, and a stirring vibrato to close. In Howard Cosell's words, "that man can sing." Gaye's demons followed him into the new decade despite the career renewal he had with the success of "Sexual Healing" in 1982. In the summer of 1983, as Gaye was deep in the throes of drug addiction and the attendant psychoses, he performed the national anthem at the 1983 NBA All-Star game. Despite his considerable personal baggage, Gaye delivered the goods with a divine reading that culminated in the audience clapping—as if in a gospel church—then bursting into an enthusiastic ovation. For all the tragedy of his violent death less than a year later, Gaye went out on top in his last public appearance. **Click here for Angelic voices, #1: Ella sings "Summertime"
here for Angelic voices, #3: Janis Joplin sings "Cry, Baby"
the magic of Muscle Shoals"